I can’t emphasize enough how much reading business books has helped me in my career and in my life. Some of the most amazing and successful business people in the world share their accumulated years of wisdom in books. Why wouldn’t you read and learn from them? Books are so cheap! It’s one of the best-bang-for-the-buck ways I know of to spend money. Today I created a new “Books” post category under “Other.” Under this category I’ll share books that have helped and influenced me in big ways. 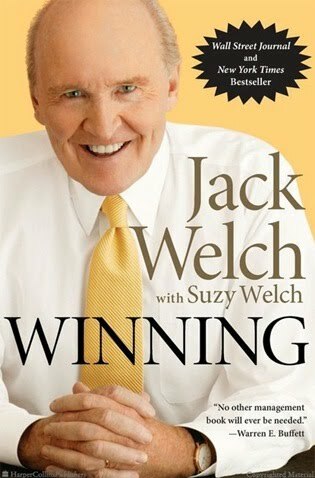 Welch covers all the bases in this book — leadership, teams, selecting and motivating winning talent, strategy, communication, budgeting. And he does it with plain, down-to-earth and sometimes blunt language. Welch breaks each lesson down to simple and easy-to-understand fundamentals. More than a few times over the past three years, I have been on a speaking program or at a business conference with one big strategy guru or another. And more than a few times, I have listened to their presentations in disbelief. Forget the arduous, intellectualized number crunching and data grinding that gurus say you have to go through to get strategy right. Forget the scenario planning, yearlong studies, and hundred-plus-page reports. They’re time-consuming and expensive, and you just don’t need them. Truer or more beautiful words were never spoken. 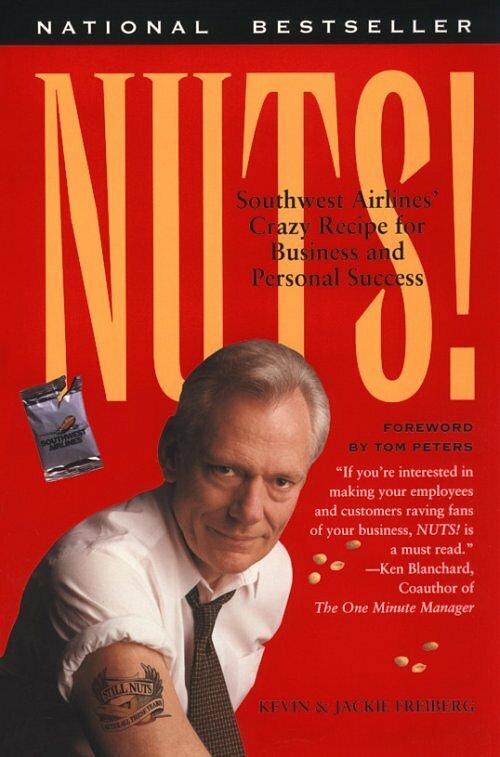 “Nuts!” is all about Herb Kelleher and how he created the legendary culture of committed and passionate employees at Southwest. Not only did it inspire me about the difference one leader can make, I also got about a million ideas from it. I ended up using about a dozen ideas, but that was enough to transform VietnamWorks into one of the best and most fun companies to work at in Vietnam. The book is full of fun, powerful stories that show how Southwest’s values, management style and belief system have created the most efficient and consistently profitable airline in American history. Southwest shows us that having fun at work can be just as good for the bottom line as it is for the heart. Wow, your introduction about Winning make me want to read it immediately! I’ll try to read that book! Thank you for sharing! “Try” to read it, or read it? There is only “do” or “do not.” There is no try. Which will it be Duc? Why don’t you write a book telling your experiences? I think it will be an interesting one. Hmm not a bad idea Trinh. We seem to have the same thoughts on leadership books. We can learn from many sources but no one has invented a device more elegant than a book. In order to continue the growth and forward motion of humanity, we must continue to collect and share the wisdom of each generation and the best, most persistent way is that “mysterious virtue of wax and parchment” as observed by Edmund Burke. I would add a few more that your readers will enjoy: “See You at the Top” by Zig Ziglar; “Gung Ho” and just about anything by Kenneth Blanchard (you mentioned “One Minute Manager” already); “Crucial Conversations” by Kerry Patterson et al. ; “Think and Grow Rich” by Napoleon Hill; “The Servant” by James C. Hunter and “The Fifth Discipline” by Peter Senge. These books make a complete package of leadership thought when combined with the ones you have already mentioned. Like Jefferson said to John Adams and you quote on your site, “I cannot live without books.” I would therefore also recommend a work of Jefferson but hope not to offend the religious sensibilities of your readers. I suggest it without further comment: “The Life and Morals of Jesus of Nazareth” by Thomas Jefferson. Hey Gavin! Good to hear from you! I’m with you on books. I’ve learned so much from them. They are the best benefit-to-cost ratio out there. Just finished “Zen and the Art of Motorcycle Maintenance.” I found it to be a bit of a slog but there were some good bits in there about reason vs romantic thought. Thanks for the leadership book suggestions. I haven’t read (or even heard of) most of these. These are great suggestions. But could you please advise me some marketing ones? “Steal These Ideas” by Steve Cone and “Positioning” by Al Ries and Jack Trout are two outstanding books on marketing.